Putting on my new tailored black trousers for work yesterday morning, not only was I reminded of my mortification at having put on an entire dress size, in between hospital at the start of November, and leaving my family, who had been feeding me up since the day they saw me….I also had a mini-catastrophe which incited me to want to just go straight back to bed and give up on even attempting to make a success out of the day. I was rushing. I didn’t need to rush, as I had plenty of time, I just felt a sense of urgency inside me to get everything done more quickly and leave extra special early for work. I thought it would be quick to smear some hummus on a couple of rice-cakes and gobble them up for breakfast with my coffee. To save washing up I put them on a couple of sheets of kitchen roll. Aaaaah! Disaster! One fell instantly and landed on the carpet – hummus side down of course….and as I reached down in panic to grab it the other managed to smear my top (right smack center of my chest) and my trousers (all down my thigh). 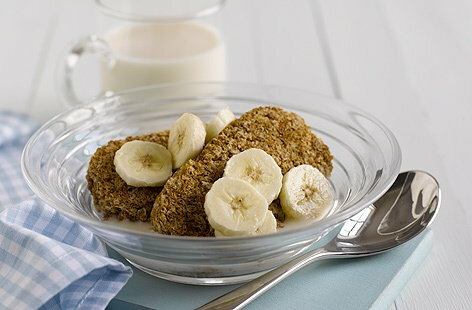 All I am saying is: I am going to have Weetabix tomorrow. Oh my! That’s the rush! I moved into this part of London just a few days before I started that job two years ago. I enjoyed the job…but after twenty months I was very glad to leave! I was running round doing so much work while colleagues were messing about playing games on their phones and sending messages to all their mates. It was getting worse and worse, and none of the senior staff were willing to be firm. I thought I would move on to another job and let the rest of the staff learn how to do their job properly. Win win! The job I have been in since August is great. Hardworking teammates. Everyone is helpful and professional and friendly. I am so glad I had the courage to leave a job that was getting me down. It takes courage to do such a thing! Maybe I should stick to a banana!